Real Crypto WordPress Plugin Uses Cryptocompare.com APIs. 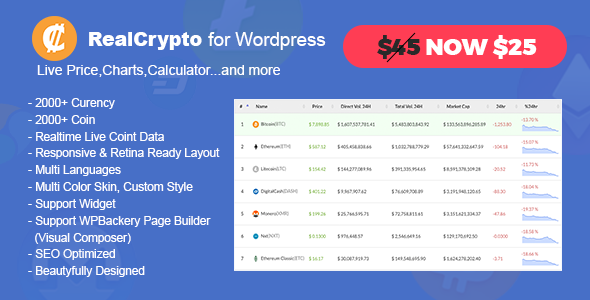 Create a website similar like Cryptocompare.com using this Real Crypto WordPress plugin. This crypto plugin uses Cryptocompare.com api to grab live crypto prices, market cap, charts and other data related to cryptocurrency.